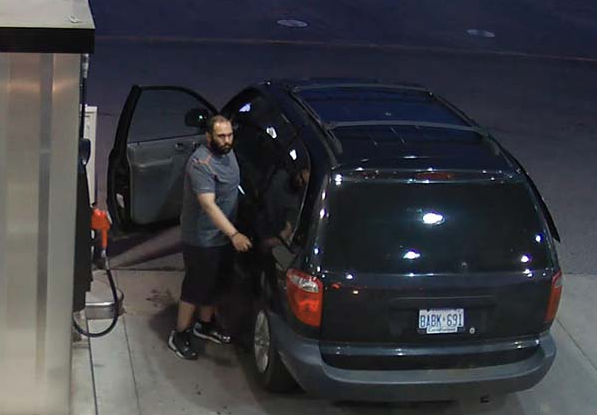 An alleged gas-and-dash thief has fuelled up twice in Halton Region and police are asking the public to help identify him. The first incident was in Oakville on May 22 at the Petro Canada at 2300 Royal Windsor Dr. around 12:40 a.m. The suspect, operating a dark, older model Dodge Caravan from 2000 to 2007, pumped $71.85 in gas then took off. The licence plate is attached to a vehicle reported lost or stolen in Peel Region, say police. The second incident, from May 26, has a suspect driving off after filling $61.80 from a Petro Canada station in Milton at 620 Thompson Rd. S.
The suspect is wanted on a charge of theft under $5,000. He’s described as Middle Eastern, between 30-years-old and 35-years-old. Anyone with information is asked to phone 905-825-4747 ext. 2205 or Crime Stoppers 1-800-222-8477. ← Free on Friday night? Frolic at the Fun Fair on Forest Ave.